Since 2006, HEPI has run the Student Academic Experience Survey, generally in conjunction with the Higher Education Academy. This shows a big gap between students’ prior expectations and their time in higher education. It also shows the degree to which prior expectations are met explains students’ perceptions of value for money and other key factors. Yet we know relatively little about those prior expectations. So HEPI and Unite Students jointly set out to ask higher education applicants what it is they are hoping for and expecting. 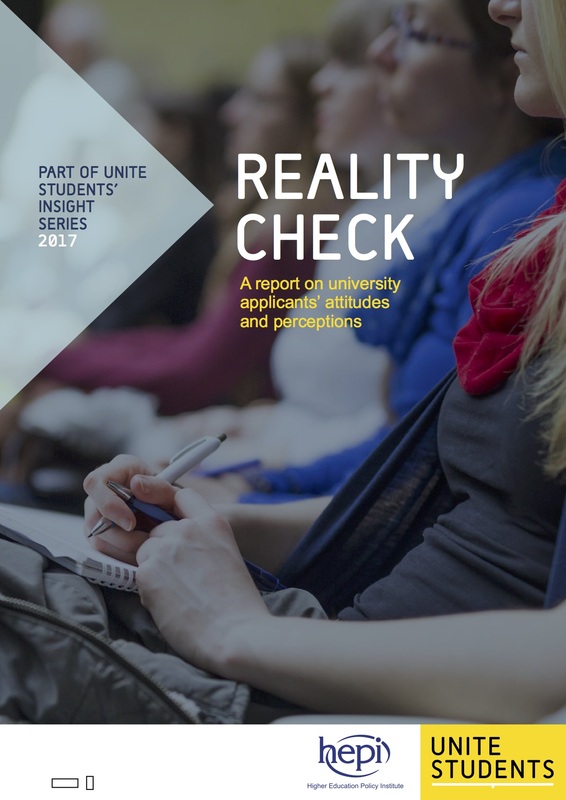 The results are illuminating and will be of interest to applicants, all those who advise people about higher education, higher education institutions, policymakers and the media. Fabulous report. I started a pre-arrival academic survey in 2006 at UG level at Kingston University and then extended it to PG level which culminated in the Postgraduate Experience Project funded by HEFCE. I have moved to another university and am reinstating the Pre-arrival Academic Questionnaire to understand prior UG experiences and expectations. Would love to triangulate the findings.